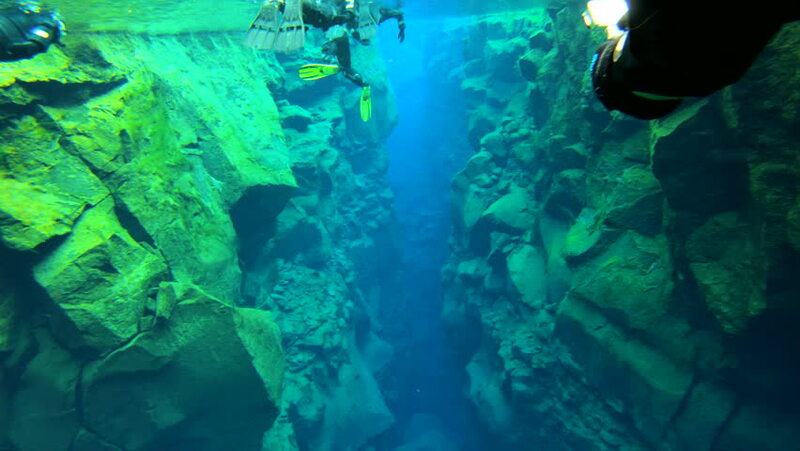 ICELAND - CIRCA 2018 - Underwater diving snorkeling footage following the mid Atlantic ridge fissure in Thingvellir Iceland. hd00:10Underwater Plants. Exterior shot of underwater plants. 4k00:27Looking down into water to see a turtle and fish. 4k00:12A diving team over Coral Reef Scenics Of The Sea Of Cortez, Baja California Sur, Mexico. 4k00:11A team of divers diving into Mexico over a coral reef.